Save on Billiards & Pool at MZ Italia. 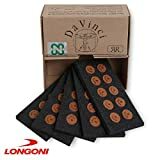 Top brands include Longoni, & LONGONI. Hurry! Limited time offers. Offers valid only while supplies last. Longoni NO BLUE SHAFT CLEANER. Longoni CUE JOINT PROTECTORS (wood joint). LONGONI CAROM TIPS SULTAN (M). (2 PIECES). 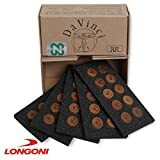 LONGONI CAROM CUE MAGNIFICA S20 C71 SHAFS & NOVECENTO CASE ( special edition). 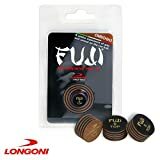 LONGONI CAROM CUE WJ ARMONIA S30 SHAFTS & PATENTED CASE (special edition). LONGONI CAROM CUE CARLSEN PRO2 + SHAFTS & PATENTED CASE ( special edition). LONGONI POOL SHAFTS S2 ( special edition ).